Tammen creates sounds that have been described as "an alien world of bizarre textures" and "a journey through the land of unending sonic operations." His projects include site-specific performances and collaborative efforts with dance, light, video, and theatre, utilizing technology from planetarium projectors to guitar robots and disklavier pianos. He received aDigital/Electronic Arts Fellowship from the New York Foundation of the Arts (NYFA) in 2009 for his Endangered Guitar: a hybrid guitar/software instrument used to control interactive live sound processing. His Third Eye Orchestra, featuring open form compositions for large ensembles and live sound processing inspired by Earle Brown's Available Forms, was hailed by Avant Music News as “a thrilling 75-minute display that combined individual virtuosity in a cohesive and fun-filled framework.” His works have been presented in festivals in the United States, Canada, Mexico, Russia, India, Israel, South Africa, and all over Europe. 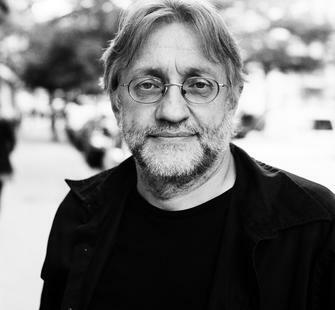 He has received grants and commissions from MAP Fund, Mid-Atlantic Arts Foundation, American Music Center, Chamber Music America, New York State Council On The Arts (NYSCA), New York Foundation For The Arts (NYFA), American Composers Forum, New York State Music Fund, and the Goethe Institute, among others. Read more at tammen.org.